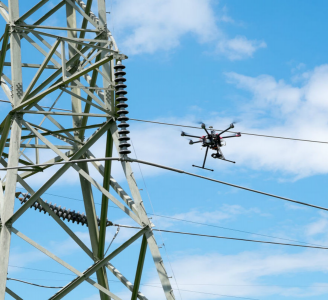 As construction of EuroTube, the very first European super fast transportation system starts full steam, the team uses WingtraOne drone to conduct a topographic survey of the site. The project EuroTube proved to be surprisingly challenging from the very beginning. First, the team had to find a long, flat stretch of land for EuroTube’s construction in Switzerland, a country famous for its mountains. And just as the right location was found in the canton of Valais, another challenge came along. How to survey such a complicated site surrounded by mountains, water bodies, forests and railway tracks? 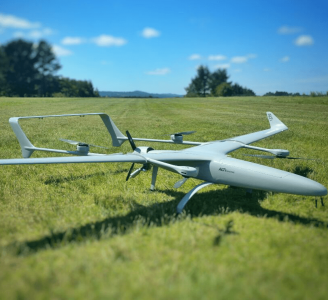 Luckily, the fellow Swiss company Wingtra already had a solution – a VTOL drone WingtraOne. The 3 km long and 3 m wide stretch of land will be used to build the EuroTube – a vacuum tube that is to be the testing site for ultra high-speed transportation technology. The project is the European answer to its American counterpart Hyperloop of the SpaceX and Elon Musk fame. After spending months in research and development of prototypes, the team at EuroTube has chosen the stretch of land in the Valais region of Switzerland as its candidate location. The chosen construction site is located next to railways tracks. A few water bodies, forests, and ditches flank the other side of the construction site, making available a mere 3 m wide piece of land for take-off and landing of the drone. Fortunately, the WingtraOne’s VTOL (Vertical Take-off and Landing) capabilities were designed with exactly these kind of constraints. But why choose such a peculiar construction site in the first place? The answer lies in the technology behind the EuroTube itself. One of the main limitations in speeding objects on the ground is the high air resistance, also called drag (drag is a type of friction force acting opposite to the relative motion of an object). By maintaining a low-pressure environment or even a vacuum, this air resistance can be lowered drastically, and hence objects can be accelerated to high speeds. Technologies such as the EuroTube provide this vacuum environment inside a long tube. Within such tubes, cars called “pods” can be accelerated to speeds as high as 800 km/h, meaning a journey between Zurich and Paris, which currently takes 4 to 6 hours, would be reduced to a mere half an hour. This is the vision driving the EuroTube project which will provide a 3 km long vacuum tube to developers of pod technologies for testing. Before the construction of the tube could begin, however, the EuroTube team needed to survey the construction site. Looking at solutions that would cut time and cost, Sascha Mark, the technical director of the EuroTube project, reached out to Wingtra in early May. A partnership between Wingtra and EurtoTube was quickly formed where Wingtra would provide the WingtraOne as well as conduct the surveying of the construction site. “For a cutting-edge research project involving significant infrastructure, time is of crucial importance. We were looking at surveying solutions that can provide the dataset required for construction site quickly without compromising on the accuracy. From this perspective, WingtraOne looked like a viable prospect,” says Mark. The survey was conducted on the 21st of May when Gerard Güell, the Construction Director at EuroTube, met Adyasha Dash from Wingtra on site. To survey the area quickly with high accuracy, a WingtraOne equipped with an RX1RII camera and PPK (post-processed kinematics) was chosen. As the survey required flights over a straight, flat piece of land, flight planning was done on site and took less than 5 minutes for the setup. The wind on site ranged from 2 m/s to 5 m/s. After letting the flight planning app WingtraPilot run a host of automatic pre-flight checks, the drone started its flight to collect aerial imagery at a Ground Sampling Distance (GSD) of 3 cm/px. At the end of two consecutive flights taking less than an hour in total, the drone had collected a little more 800 individual images. 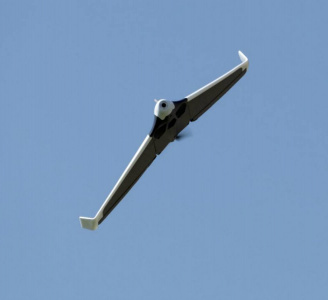 “It was nearly effortless to conduct the aerial surveying with the WingtraOne. All we had to do was to walk to the take-off area, double-check the survey area we wanted to cover on the flight planning app, and hit go,” adds Güell. After the two flights, these images were pre-processed with WingtraHub, the Desktop app, to add geographical identification metadata to the images. PPK processing was also done in this step. The base file for PPK processing was obtained from Swisstopo which monitors GNSS receivers located at 30 different location in Switzerland permanently. These receivers form the modern-day reference points for positioning and surveying and help enhance the geolocation information of the images in conjunction with the flight data (hence the name, post-processed kinematics). It took a little more than half an hour to pre-process the entire dataset. The images with their accurate geolocation information were then uploaded to Pix4Dmapper to generate a point cloud of the site. All in all, it took less than 24 hours to go from data collection to point cloud generation, without compromising on the quality of survey itself. 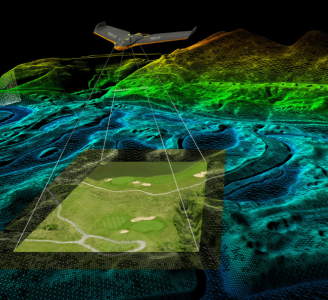 “We are pleased to say that the dataset gathered by the WingtraOne was precise enough to let the engineering office begin planning construction. The generated point cloud has a vertical accuracy of 10 cm and horizontal accuracy of 3 cm. Thanks to the WingtraOne, we are now well on track on our timeline to begin construction,” says Mark. According to EuroTube’s scheduled timeline, a shorter prototype of the tube will be completed at the end of this year, and an alpha tube at the end of 2019. European research and development teams across institutes and universities can then soon start testing pod technologies to make ultra-high-speed transportation systems a reality.